The mission of the Boys & Girls Clubs of North County is to inspire and enable all young people, especially those who need us most, to reach their full potential as productive, caring responsible citizens. Our organization reaches close to 1800 members each year at our 7 locations in the Fallbrook and Rainbow communities. Membership is only $30 per year and no one is ever turned away due to financial hardship. Boys & Girls Clubs of North County offers programming in five core program areas. For over 50 years, the Boys & Girls Clubs of North County has been committed to serving youth and reaching out to young people in need. As a community based agency, the Club offers young people what they need and want most—adults who respect and listen to them; a safe environment where they can have fun and be themselves; and interesting, constructive activities that channel youthful energy into challenging pursuits. In 1962, several business leaders started what was known as the Boys Club of Fallbrook to provide a place where boys could gather for constructive activities. By 1978, the Club was ready for expansion and opened its second branch and the very first Club in America to be established on Native American land at the Pala Indian Reservation. In 1979, the Club changed its name to the Boys & Girls Clubs of Fallbrook due to the increasing girl memberships. This was many years before the National Organization changed its name to Boys & Girls Clubs of America. Then in 1996, the Club opened a third unit at the elementary school in Bonsall. 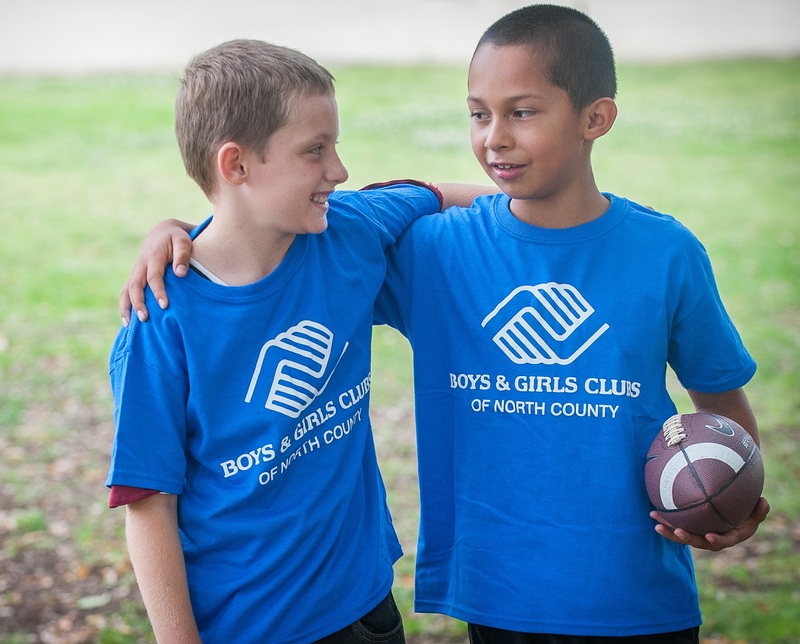 In 1998, the Club changed its’ name to the Boys & Girls Clubs of North County to better reflect the communities served. In 2003, The Boys & Girls Clubs of North County developed a before and after school site on Potter Junior High campus and invited all the middle school students to be engaged in positive Club activities when not attending class. The elementary school site programs were started in 2005 in the Fallbrook Union Elementary School District and in 2007 in the Bonsall Elementary School District. In 2007, a $2.75 million Capital Campaign kicked off the year for the Boys & Girls Clubs of North County with the goal to upgrade and expand the Ingold facility in Fallbrook to be able to meet the needs of youth for many years in the future. After a few years of fundraising and help from a CDBG grant, the Boys & Girls Clubs of North County was able to complete many facility upgrades in 2010-2011 including swimming pool renovations; development of a music and recording classroom, computer/education class room, art room, a Kaboom playground and a newly developed parking lot. The Boys & Girls Clubs of North County is proud to currently serve nearly 1,800 members each year. In addition to the nostalgic Ingold facility, we have 6 sites in local schools providing before and after school programs for Fallbrook and Rainbow students, serving over 600 kids every day. The Ingold Club provides exciting summer programs to all of our members.